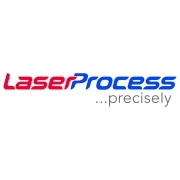 Laser Process Ltd is one the UK’s leading laser cutting jobshops. A position we have attained by our commitment to continual investment in the latest technology in order to provide the best possible service to our customers. We pride ourselves on our friendly approach and the fact that many of our customers have come to us through recommendation. Investment in state of the art systems keep us at the forefront of advancing laser technology. Laser Process Ltd are Founder members of the Association of Industrial Laser Users (AILU). We are also members of CBM, EIA, The Rail Alliance, MTA.